I started the month playing a gig with Cassie Kinoshi’s SEED Ensemble at the Jazz Cafe, an event put on by the magazine Gal-Dem to celebrate Black History Month. Cassie takes inspiration from black artists from across a range of mediums and genres (such as the sci-fi works of author Samuel R. Delany and poetry by Langston Hughes, as well as the obvious musical influences from jazz and blues). It was interesting to hear her thoughts on the idea of ‘Black History Month’. She believes that, although dedicating a month to highlight black history is a small positive step, British history is very much Black history and these two shouldn’t be separated in our history curriculum. Cassie’s point got me thinking about how relevant black history is to me (a white guy), not just as a musician who plays music from an African-American tradition, but as a human being living in the world. Another highlight of last month was playing at Smitty’s Bar on Broadway Market with the Gorodi/Braysher Quartet (a band Sam Braysher and I co-run which features Tom Farmer on bass and David Ingamells on drums). I love playing with this band because it provides me with opportunities to carry on studying and playing music from the bebop tradition (while I focus on more contemporary music with my nonet). When I first started the band, I was mostly curious to delve into the music of Lennie Tristano, Lee Konitz and Warne Marsh. I love the way their language puts the melodic line through an intertwining rhythmic and harmonic process, culminating in melodic yet surprising music that challenges the norm. I’m still fascinated by this school of bebop, but more recently the band has included compositions by Coleman Hawkins, Art Pepper and Thelonious Monk, and it’s been great fun getting into all of that. I’m really looking forward to playing with this band more frequently next year. The project that kept me most busy this month was with Sam Poppleton’s Zeitgeist Orchestra which, on top of several rehearsals, performed two concerts; one at All Saints Fulham and another at Kings Place. Sam picked a bold program of music that highlighted moments in history when composers demanded their music be taken seriously as works in their own right instead of as accompaniment for ceremony or dance. Included in the program were tunes from the Birth of Cool album (Miles Davis) and some Montiverdi, both of which Sam had rearranged for the unusual line-up. The program finished with a new composition called ‘I Will Wait, But Not as I Run’ by Effy Efthymiou. I’ve been checking out more and more contemporary classical music over the last few years and the “genre” (for want of a more helpful word) is an increasing influence on my own writing, so it was a really insightful challenge working on this piece. It was also a pleasure to play the Montiverdi as I haven’t played any music from the Baroque period since I left school (the other members of the orchestra were most helpful in providing stylistic guidance!) However, the highlight of the concerts for me was playing the tunes from Birth of the Cool. It was one of those rare opportunities to play Miles’ parts to one of my favorite albums. You can read a review of the concert here. 18thNovember – I’m playing an afternoon set with monster musician Gareth Lockrane and his Big Band (ram packed with other monster musicians!) at the Spice of Life as part of the London Jazz Festival. 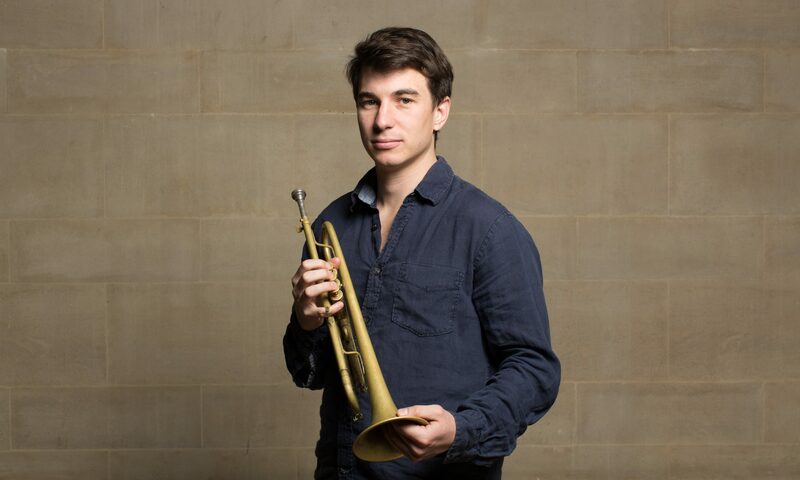 25thNovember – I’m really looking forward to playing my new arrangements of tunes made famous by Miles Davis with the Wandsworth Jazz Orchestra. This is a free event at the Southbank Centre’s Clore Ballroom as part of their ‘Next Generation Takes Over’ London Jazz Festival program. A friend recommended me the Headspace app and I’ve been getting really into it for just over a month now. It’s a guided meditation app with helpful animations and loads of different ‘packs’ so you can tailor your meditation practice. The podcast that I’ve most enjoyed this past month has been ‘Intrigue: The Ratline’. Barrister/professor/writer Philippe Sands investigates the story of Otto von Wächter, a senior Nazi who escaped justice after the war (he was indicted for mass murder). Otto’s son plays a large part in the series, and it’s both interesting and heartbreaking to hear his determination to defend his father whom he loved so much. The podcast was an interesting compliment to the book I’m currently reading – If this is a Man / The Truceby Nobel Prize winning Primo Levi. This book (actually two books republished together) is an autobiographical account of Levi’s time in a concentration camp and the long and tumultuous journey back to his home in Italy after liberation.